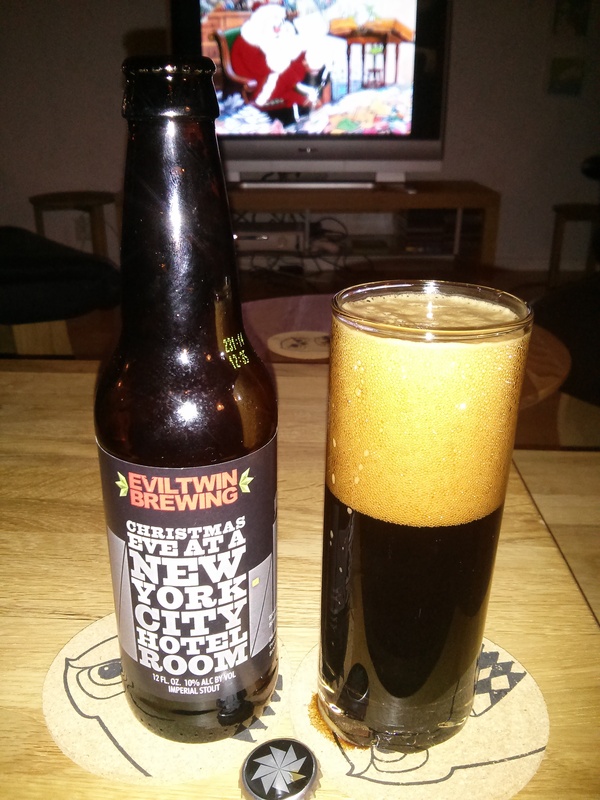 For the final advent day I’m drinking a fairly appropriately named beer by Evil Twin (though I’m not in a hotel room or in New York city). Extremely dark body and a deep coffee coloured head with even a few bubbles that go down when you pour, this beer has excellent head retention. The aroma is rich with dark chocolate, coffee, caramel, toffee. The flavour is even more complex, with all the aforementioned flavours as well as dark fruits such as plum, dates and raisins. The taste starts slightly sweet with a mildly bitter and well balanced backbone to it. The body is heavy and the carbonation is medium to low. Rating: 5/5 – Well balanced and very complex. My day definitely feels a little bit duller after I finish this one. Drat, not available in Ontario. © 2019 Duke of Brew.